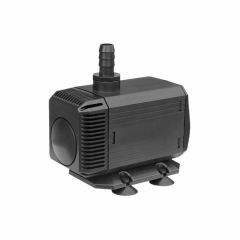 You are purchasing a high quality 1200l/h pond pump with foam pre filter and complete fountain attachment set. 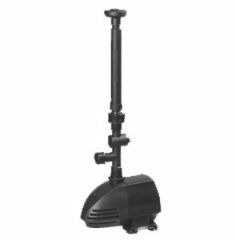 This pump comes complete with 3 different, interchangeable fountain heads, and the fountain height can be adjusted using the telescopic extending raiser pipe. These pumps have a mechanical foam pre filter on the inlet to trap waste particles from the water. 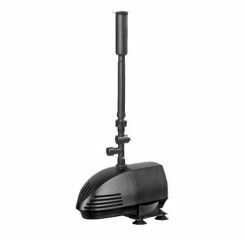 You are purchasing a high quality 1800l/h pond pump with foam pre filter and complete fountain attachment set. You are purchasing a high quality 2500l/h pond pump with foam pre filter and complete fountain attachment set. You are purchasing a high quality 5000l/h pond pump with foam pre filter and complete fountain attachment set. 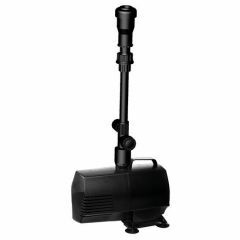 You are purchasing a high quality Pond / Aquarium pump, complete with hose tails. 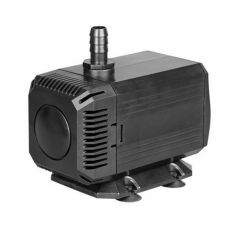 This pump has a flow rate of 2800l/h, and a maximum pumping height of 2.5m. All of our pumps come complete with a range of various size hose tails to connect to flexible hose. These pumps have a 3pin UK plug attached, and cable length of 2.7m approx. This pump has a flow rate of 3500l/h, and a maximum pumping height of 3.5m. 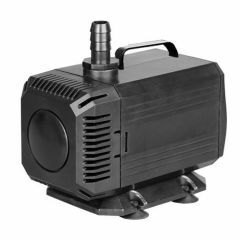 This pump has a flow rate of 5000l/h, and a maximum pumping height of 5.0m.